Mandalar Degree College Library was established in the year 2012. In our library, there were 5 members of librarians. There were 4,047 full text journals, newspapers, research papers, images and the other knowledge books. E-library can use starting from 2017 August. 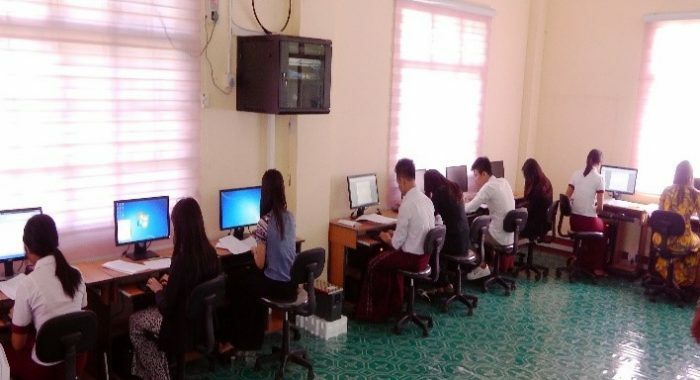 Access to a wide range of scholarly e-journal and e-book collections, plus high-quality reference information and academic databases, is now available to faculty and students at the Mandalar Degree College through the e-Library Myanmar project. Access to all e-Resources is available on campus through the campus WiFi and also from access terminals in the library. In addition to eResource, the library maintains various Myanmar books, newspapers & periodical archives, Myanmar manuscripts and rare books for the faculty and students. Users can search and read the full text of over 4,047 full text journals, newspapers, research papers, images and the other knowledge books as below. For the convenience of the faculty and students, the library also provides facilities such as discussion rooms, training rooms, IT help desk and access terminals. Contact us for more information on the facilities & services offered.